The University of Washington ranking is 23rd in the USA and 20th in the world on the University Review College Ranking List (NB different methodology is used to calculate US and World rankings, hence the discrepancy of being rated higher in the world than in the USA). It is ranked as the 48th best college in the states by the USnews, and the 73rd best by Forbes. The THE ranks it 26th in the world. The University of Washington tuition fees are $12,394 for in-state and $33,513 for out of state students. It is a selective college accepting 55.2% of applicants. Financial aid offered totals $148.5 million per year, an average of $18,600 per student. SAT scores for admission requirements (25th-75th percentile) are Math 580 – 700, Reading 520 – 650, and writing 540 – 650. The total composite SAT Score range for accepted applicants is 1100 to 1360. The requirements for ACT (25th-75th percentile) are Composite 25 – 30, English 23 – 30, Math 25 – 31, and Writing 8 – 9. The University of Washington, Seattle, WA was founded in 1861 as a public institution. 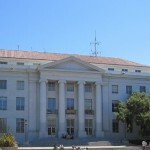 The building of the university came about as a recommendation by the then governor Isaac Stevens. The university was originally located in a ten acre site ion downtown Seattle before moving to a larger campus around Denny Hall. There are around 31000 undergraduate students and nearly 12000 postgraduate scholars, in addition to the nearly six thousand faculty. University of Washington, Seattle has an endowment of 1.37 billion US dollars.The president is Mark Emmert . The schools mascot is the husky. It is considered to be one of the public Ivy’s. The libraries at Washington Seattle contain around six and a half million volumes. For research Washington university libraries are considered to be the fifth best in all of the united states. 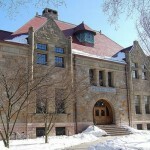 The universities main library is the Suzzallo Library. As a member of the List of Public Ivy Schools, it is closely associated with institutions such as University of Texas, Austin, University of Illinois at Urbana-Champaign, University of California, San Diego, and University of Michigan. Other colleges in the state include the Washington State University. Motto: Lux sit (English: Let there be light).